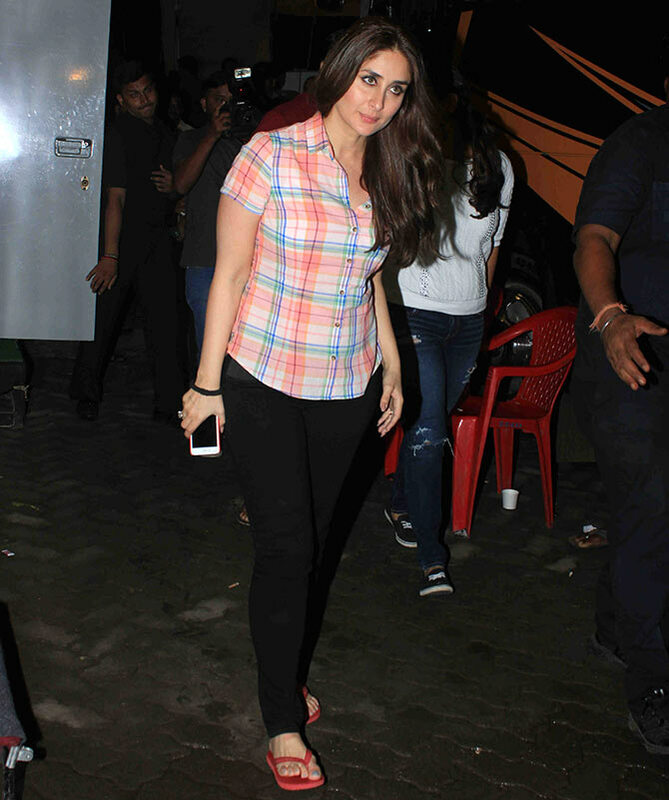 Kareena Kapoor on the set of her new Ad shoot, These are one of her few post pregnancy photos. Kareena and Saif finally announced that Kareena is pregnant stopping the speculations and rumour mills. Kareena's baby bump is not clearly visible in pics , but she looks radiant ,vibrant and glowing. 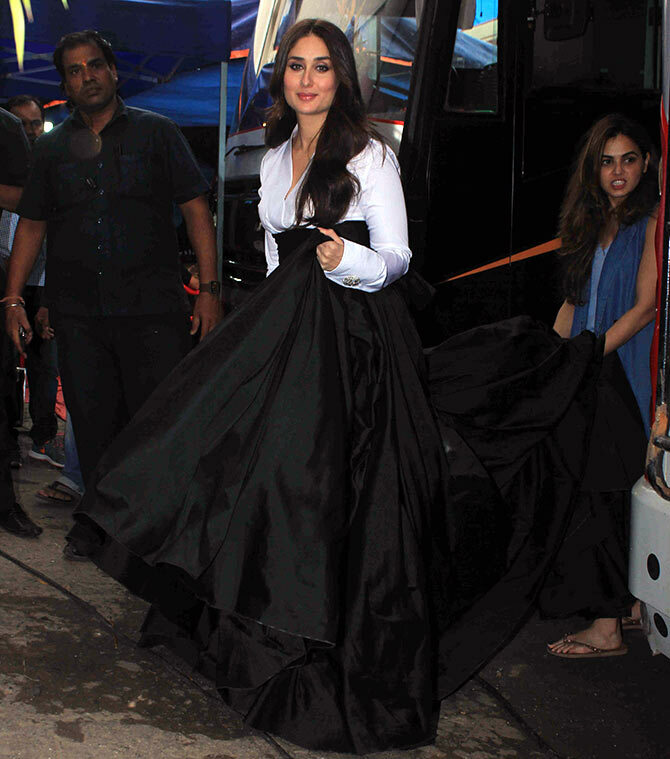 Kareena wore a beautiful floor length black gown . 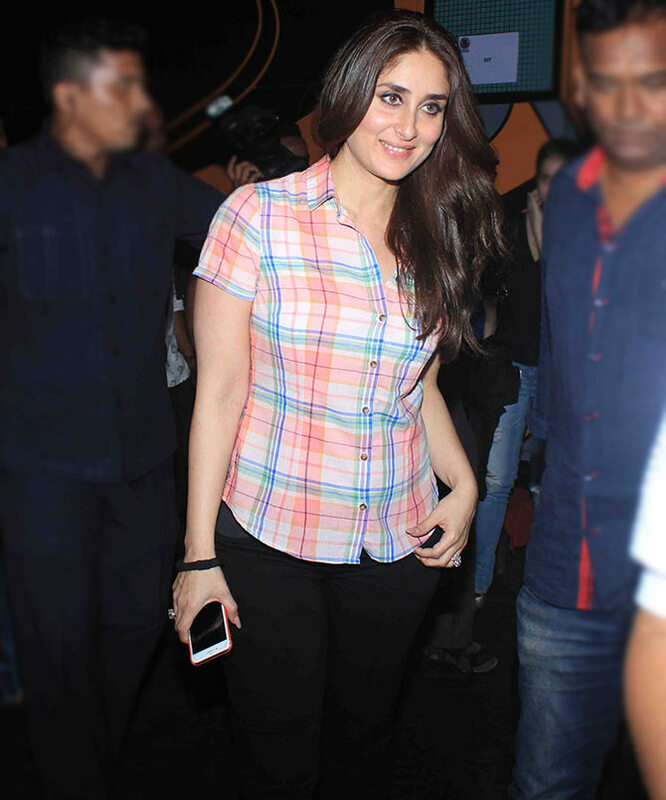 And few more pics of her wearing checkerd shirt and tight black pants. 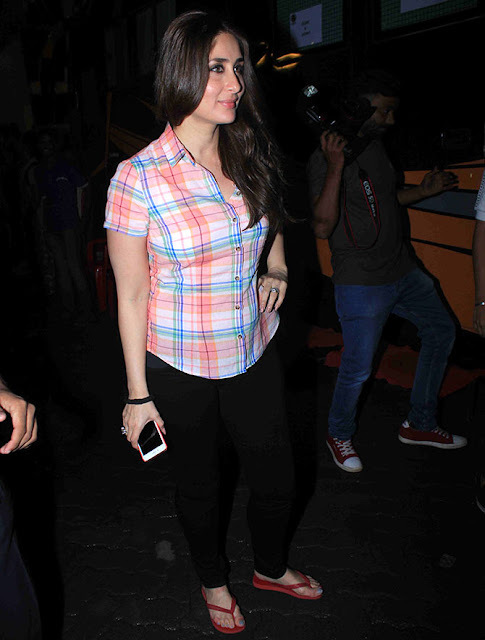 Kareena's baby bump in loose checked shirt and tight black pants.